The glaring gaps in drug coverage for Canadian children are made stranger by the economic dimensions of the issue. Children's health care represents a drop in the ocean of health care budgets -- extending universal drug coverage to children would constitute a small fraction of total pharmaceutical spending. Steve Morgan Steve Morgan is a professor in the UBC School of Population and Public Health. You are the parent of a sick child. You have a limited budget and you must decide to buy the medicine the doctor prescribed for your child or provide food and shelter for your family instead. What do you do? Sadly, this dilemma is one too many Canadians are facing. We have an incomplete health system where doctors and hospital care are paid for publicly but the drugs often necessary to treat health conditions are not. Prescription drugs can be costly -- and not just for those living in poverty, but for middle income Canadians too. Several studies have found that about one in 10 Canadians cannot afford medicines prescribed by their doctors. This affects approximately one in four Canadian households, including many young families. In most provinces, access to medicine for children is tethered to socioeconomic status, and therefore highly inequitable. The very poor sometimes have access to public assistance -- a good thing. And the relatively wealthy have access to work-related private drug coverage. But too many of those in the vast middle ground fall through the cracks. This creates painful and unjust dilemmas for parents who have to choose between the costs of prescription drugs and other life necessities for themselves and their children. Canada is the only universal health care system in the developed world that does not include universal coverage of prescription drugs. Canada is also an outlier for not having a universal program for prescription drugs for children in particular. Two of the four federal political parties in this election have committed to a universal pharmacare program -- the NDP and the Green Party -- while the Liberals have committed to cost-saving measures for prescription drugs. The Conservatives have been silent on the issue. Most of the discussion has been centred on seniors' access to prescription drugs. But pharmacare is for kids too. We need to press all the political parties to make prescription drugs accessible to Canadian children. In fact, universal prescription drug coverage for children would save money both now and in the future. How so? The long-term benefits of universal drug coverage for children are compelling. Canada stands to benefit considerably from the developmental gains reaped by healthy children. Reliable access to medicines is crucial to the control of childhood diseases such as asthma, diabetes, cancer and immunologic disorders. Optimal disease management both improves survival and minimizes late effects. With time, this lays the foundations for a healthier and more productive society. The U.K., New Zealand, and the Netherlands have national approaches to optimizing pediatric prescribing practices. These countries have something else in common: they provide universal drug coverage for children. This provides an ongoing public rationale for prioritizing safety and efficacy in pediatric drug prescribing. 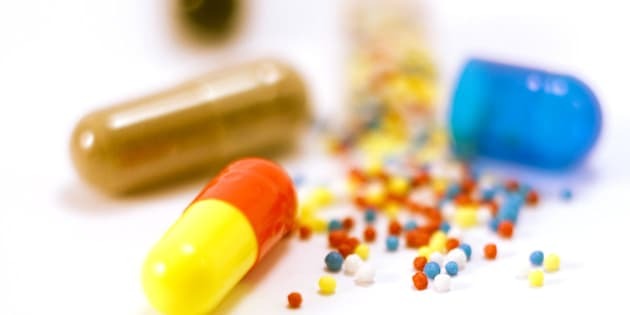 Most of the drugs for common pediatric conditions are available in relatively low cost generic formulations which the government could prioritize over equivalent more expensive brand-name products. The price of such medicines would fall further if provinces and the federal government bought them in bulk under a universal pharmacare plan. Fluticasone, a commonly prescribed asthma inhaler, costs over $45 in Canada and under $15 in New Zealand, where government purchases medicines on behalf of the entire population. Ondansetron, a medicine used to treat nausea among pediatric cancer patients, costs Canadian governments over $3 per 4 mg tablet and the U.S. government less than $0.20 under its health program for all veterans. Amoxicillin and many other front-line antibiotics are likewise a fraction of the cost in countries committed to bulk purchasing for public provision of medicines. Novel therapies also have an important role in pediatrics. Frequently costing thousands of dollars per year, specialized medicines for rare and often life-threatening pediatric diseases impose a financial burden that no family should be left to bear on its own. Such costs are far more easily managed and more fairly distributed at a population level -- and in fact represent a very small proportion of overall drug use and expenditure. It is rare in matters of policy that the economic, medical and moral dimensions of an issue all point to the same conclusion. Universal drug coverage for Canadian children is this rare exception. With public discourse on universal pharmacare at a political tipping point, we are faced with a window of opportunity to do the right thing. As the federal election nears, Canadians should ask themselves whether our current patchwork of policies on pediatric drug funding - and the resultant gaps in drug access for children -- is in line with our values and vision for Canadian society.